As a fitting close to Black History Month, actor Idris Elba was the featured speaker for the Lens Project's "Artist Spotlight" series. Held at the Paul Robeson Center of Rutgers University's Newark campus this past Thursday evening, the lecture was moderated by Ms. Baraka Sele, the current Assistant Vice President of Programming of the New Jersey Performing Arts Center (NJPAC). "I was a huge fan of Stringer Bell being killed off right at the height of his popularity. I commend the writers for a realistic view of living a life of crime…as a drug dealer you either end up dead or in prison." "Halle Berry and I were the only two black actors nominated for this year's Golden Globes (Idris for Luther and Halle for Frankie & Alice). The Oscars aren't designed for us…let's focus on making more films." On the controversy surrounding his role as Heimdall, in the upcoming "Thor"
"It's so ridiculous. We have a man (Thor) who has a flying hammer, and wears horns on his head and yet me being an actor of African descent playing a Norse god is unbelievable? I mean, Cleopatra was played by Elizabeth Taylor and Ghandi was played by Ben Kingsley"
"Can I be candid?" he asks before turning to face the audience directly. "I don't like all of Tyler Perry's films. Yes, I did work with Tyler for "Daddy's Little Girls" because it portrayed a positive image of a black father. I am happy for Tyler's success…we need Tyler Perry…by going to support his movies, we need to show economic strength. But we are also responsible for elevating film. I'm not with buffoonish characters like Madea or Big Momma." By the end of the lecture, it was clear that Idris Elba hasn't been coasting on just his good looks. Thoughtful, resourceful, and humble, Idris Elba continues the legacy of strong and positive depictions of black masculinity in Hollywood. 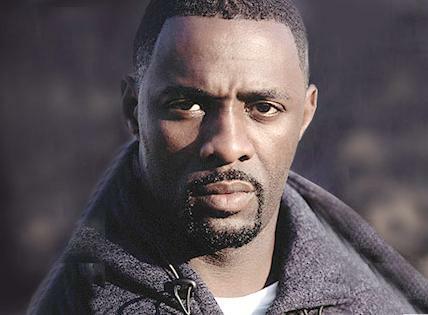 In other news, Idris has just been cast in the, not quite Alien prequel, Ridley Scott helmed Prometheus. He joins Noomi Rapace (Girl With The Dragon Tattoo), Michael Fassbender (X:Men First Class) and Charlize Theron (Hancock).